In the past I’ve often lamented the fact that, while Democrats put forward good, solid candidates for higher office the candidates and the party often did not tell a good story about these candidates and our collective values. We have underestimated the power of narrative and the necessity of presenting a candidate who people can relate to, can see themselves liking or even hanging out with. So which party used their convention to tell a better story about their candidate and values? Let’s review the Republican week. Stories about Day One of the their convention were dominated by keynote speaker Chris Christie’s curious decision to leave Mitt Romney out of his speech. Coverage of Day Two focused on vice presidential candidate Paul Ryan’s Trouble with the Truth, and Day Three, the day when Mitt should have shone — he was upstaged by Clint Eastwood’s transformation into Grandpa Abe Simpson, yelling at a chair. 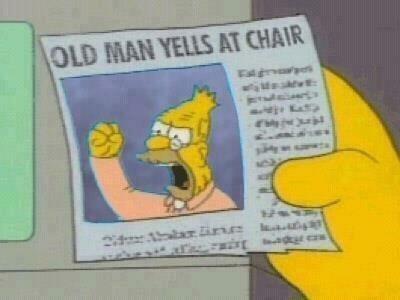 Poor Mitt, upstaged by Grandpa Simpson. In these days of instant and decentralized media, and where political conventions are recognized as little more than three-day political commercials, The Democratic Party and the Obama campaign did a fantastic job of telling a story. 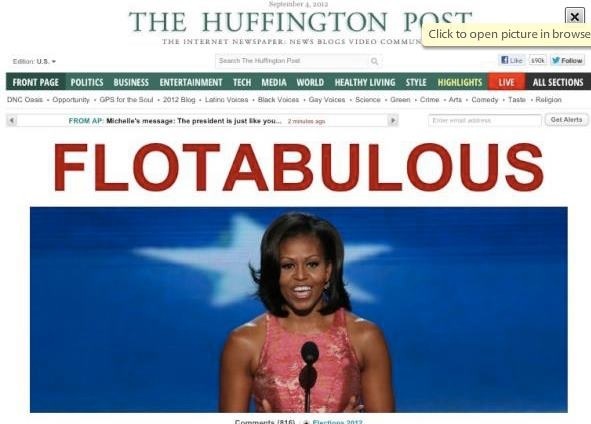 Huffington Post Sums It Up. behind everything they knew for a better life on our shores, if women can be dragged to jail for seeking to vote, if a generation could defeat a depression and define greatness for all time, if a young preacher could lift us to the mountain top with his righteous dream, and if proud Americans can be who they are and boldly stand at the altar with who they love, then surely, surely, we can give everyone in this country a fair chance at that great American dream. In the lead-up to President Clinton’s Wednesday night speech, the political press fell into one of its periodic fits of convulsive stupidity. Would Clinton go off script? Would the “tensions” in the Obama/Clinton relationship shine through? And, of course, will Clinton outshine or overshadow the President? Did these reporters not remember writing these exact same stories four years ago? When the President did give his speech on the final night, some in the political press gave it mixed reviews. From the arena and the reactions there, I felt like the speech did everything it needed to do. The thing that stands out about those reviews, however, was how they were presented. Some said he didn’t give the best speech of the convention – that honor went to either President Clinton or the First Lady. Others said that this “wasn’t Obama at his best.” As a friend pointed out as we left the convention, if they’re comparing Obama to Obama, then I think we’re ok. I’d add that even if they’re comparing him to Clinton, Joe Biden, or the First Lady, we’re still OK. Because you know who they’re not comparing him to? Mitt Romney. Likely unsettled reading headlines like “Very Little Convention Bounce for Romney,” on Sunday morning the Romney campaign dispatched Mitt to Meet the Press, hand-cuffed to Ann Romney, the person in charge of “humanizing” the man who thinks corporations are human. Really, Ann? The woman who told us she and her husband could relate to everyone’s struggles because they once had to sell some stocks to pay for their rent? The one with the Olympic dressage horse named Rafalca? The one who told Latino voters to get “past our biases” (Psst, Ann, mija, they’re not biases – we can read English and know his positions)? Reina Romney is going to humanize Mitt? I guess you have to work with what you’ve got. Pobrecito. Well, not quite. Pobrecito riquito. 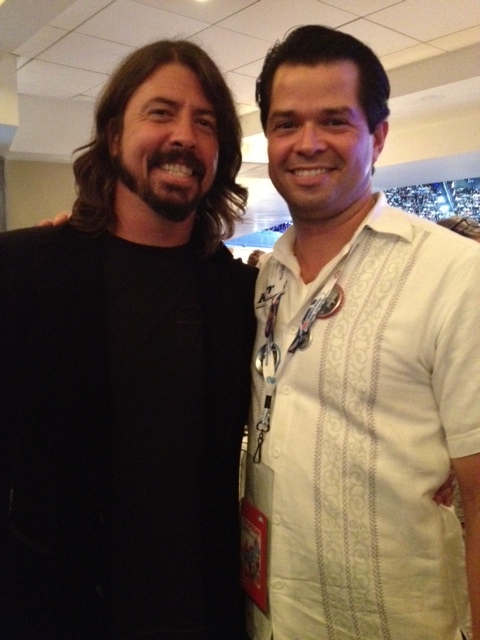 This was my third Democratic convention. In 2004, I was a Dean supporter who got elected as a national delegate for Edwards. (Back then, our joke was “Dated Dean, Married Kerry, Still Sleeping with Edwards” — which is so not funny any more). Even though I watched with more of an eye toward the outside – constantly checking twitter and other social media to see how media and television watchers were reacting to speeches, I came away so glad to have experienced so many of those speeches live. In 2008 the GOP and McCain derided Obama as a good speech-giver, sounding what I thought Democrats used to sound like — people who denigrated the power of narrative and artful, passionate story-telling. We are no longer that party and they are. So good on us. Conventions are, indeed, extended commercials. But they offer a unique opportunity to present a story, a vision for the future. And you also sometimes get to meet some stars. Me and That Guy From That Band. That was great, Jav, thanks. Going off your points about the Latino vote, one thing that I thought was great was Boston Mayor Tom Menimo who had a great line. Obviously there was a lot of diversity on stage during the DNC, and I’m really for that, but it was also great to see an old, fat, jowly white man with a slicked hairdo thundering from the podium. I mean, old fashioned party big wigs need some air time too right? While talking about how Mitt didn’t represent Boston Values: “You know what we call immigrants up in Boston? Mom and Dad.” Great!